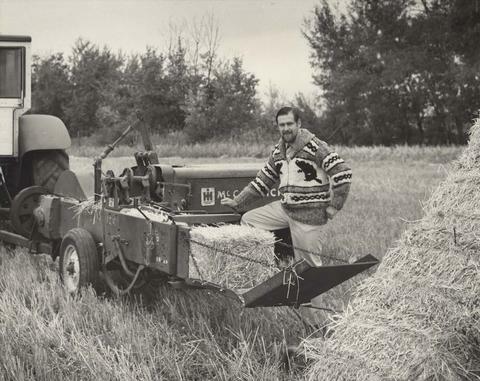 Photograph depicts Cyril Leonoff bailing hay. Written on the verso: "September 1970. Cyril Leonoff, Barney Kaplun Farm, "Bailing Hay", Rocanville District, Saskatchewan."